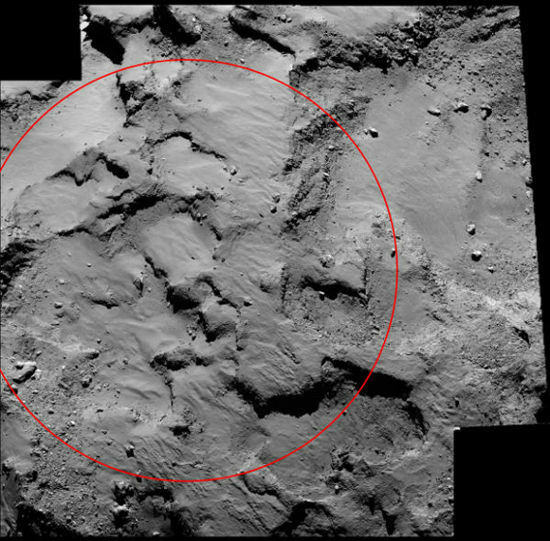 Everyone is doing it so why not Rosetta? 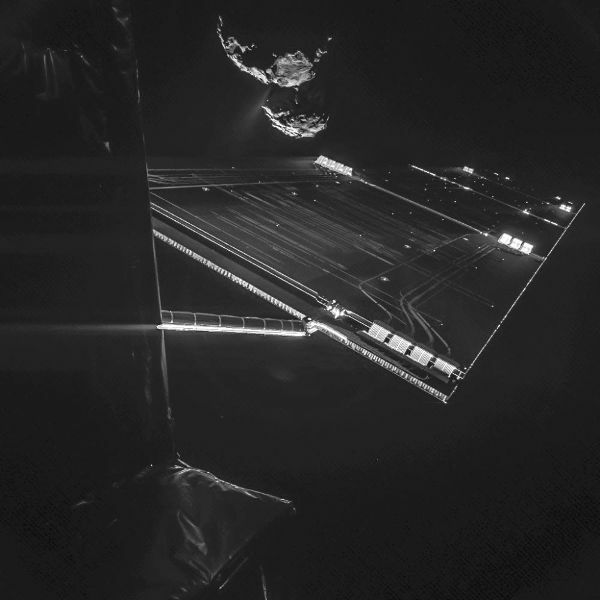 Thanks to its onboard Comet Infrared and Visible Analyser (CIVA), this selfie picture was taken by the Philae lander and shows Rosetta spacecraft’s 52 foot long solar arrays, with comet 67P/Churyumov-Gerasimenko just 16 kilometers away in the background. 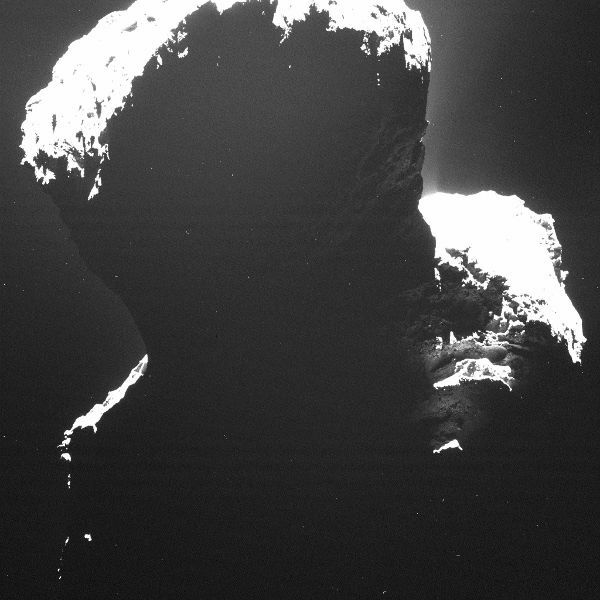 This picture is actually a combination of two selfies, of shorter and longer exposures, which when combined are able to show us both the lighter and darker portions of the scene outside Rosetta. 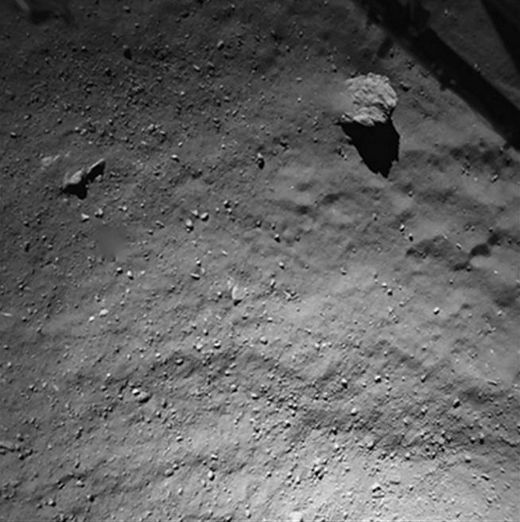 This is the last image from Philae before the lander separates from Rosetta on November 12th and makes its rendezvous with the comet that it is circling.